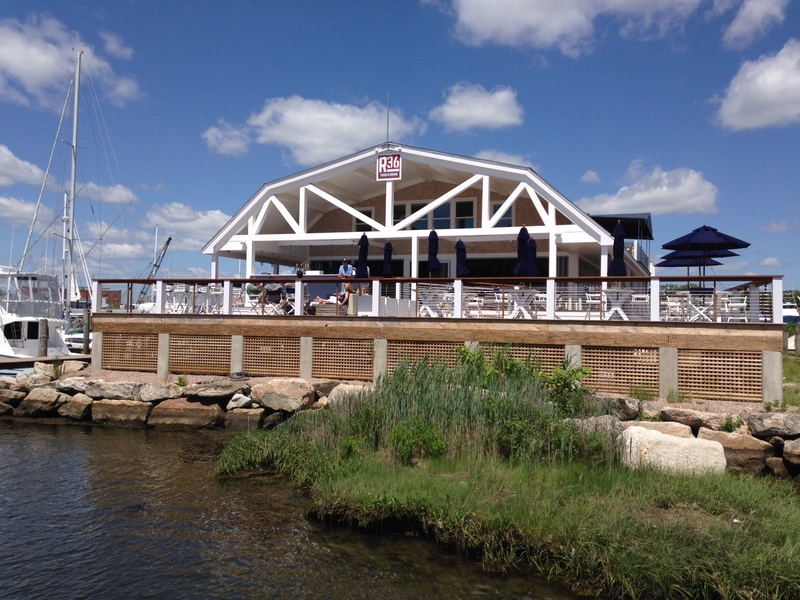 Waterfront restaurant serving seafood, burgers, and cocktails at the Seaport Marine. 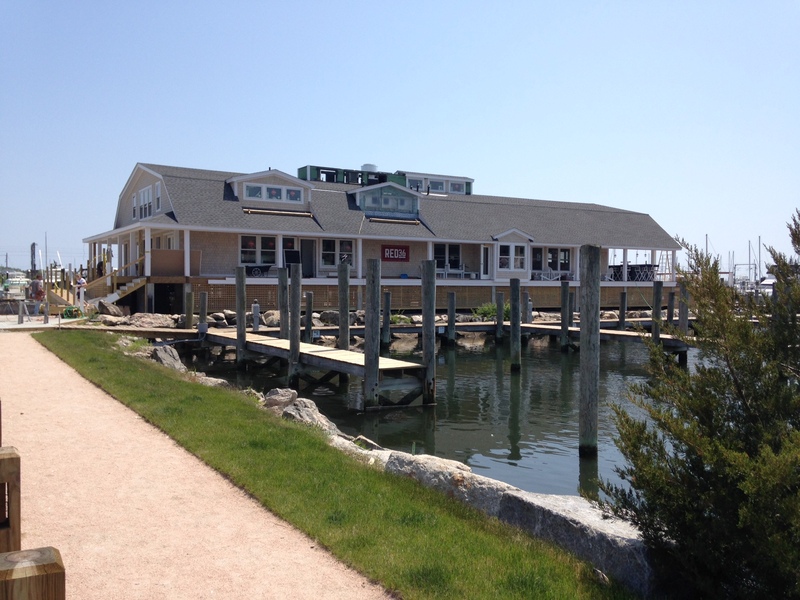 It’s about time Mystic has another option for waterfront dining. Woohoo! Red 36 It has a Newport, RI kind of feel, however it’s just off the beaten path of Downtown Mystic. The views are gorgeous and the overall design is modern yet comfortable and absolutely immaculate. The staff is friendly and inviting from the moment you walk in the door. It’s a must try for any local or visitor looking for a very special place to dine out. There’s a large (free) parking lot, 0utdoor seating overlooking the Mystic River, the railroad bridge which is fun to see, and of course lots and lots of boats docked all around. While the atmosphere is surely one of the best ANYWHERE… The portion sizes, save the salads, are woefully shy of even a decent snack. And the prices are steep. I would never eat there again as 4 of us left there. hungry. Drinks would be your best bet for this place and then move on to somewhere else to fill your tummy. The paella risotto is the best anywhere, it is a generous portion and delicious! I don’t know what you ate, but this is a great restaurant. Great food and great atmosphere. My husband has tried many dishes as have our friends and all agree with us. I feel bad because everyone was so excited about this place opening up but I think the owners have really shot themselves in the foot by serving such ridiculously small portions. Boaters are used to paying higher prices for everything and the prices there don’t scare me but the portion is just way too small. The atmosphere is second to none…beautiful!! But after being on the water all day boating the scenery doesn’t fill your stomach. If they have to charge more go ahead…..just give more!!!! That’s what keeps people coming back. “I brought my 8 month old baby girl for a quick bite for lunch with a friend and she was welcomed by the staff with smiles. I’d bring her again in a heart beat (at least with the lunch crowd). HIGH CHAIRS AVAILABLE, but I’d leave the kids at home after dark for sure. There’s an outdoor seating area where you can wait or hang out with a drink on super comfy outdoor couches (highly recommend this option to save a little $$). The fresh oyster bar had local Mystic and Stonington varietals. The menu is fun and fresh. We sampled some yummy appetizers(wish the portions were a tad bit bigger). I also agree- great view but exorbitant prices. $13 for a small wedge salad, $9 for a “bowl” of clam chowder (so small the equivalent of a cup), and two glasses of wine all totaled over a $40 meal. The menu was limited; the food was okay but nothing special. Service was slow. It was packed, and very noisy, on a Thursday night- can’t imagine what a weekend must be like. I will not return again as there are other area restaurants with a view and much less expensive. Being from Mystic, my wife and I were very excited to visit this resturant in anticipation of the fare and atmosphere. I must agree with some of the other reviews, the atmosphere was really nice and inviting. The food on the other hand, thats another story. We were disapointed with the portion sizes for the price, very high. The food was ok, debating if we want to give it another try. Maybe we’ll try the patio for drinks. My first and not last visit to Red 36 on the recommendation of a friend. Great menu with many selections. Food was terrific, the house Bloody Mary awesome. Service – terrific! Will spread the word and absolutely plan to return. Red36 ? Never Again. Walked into the place at 5 PM. Hostess tells us that there is a happy hour til 6. We asked if it was in just the bar area or the entire restaurant. We are told it is in the bar area only. She tells us that beer, wine, and appetizers are half price. We said we would do that, and she sits us at one of the high top tables in the bar area. She gives us menus. We order 5 beers and wines, and 2 appetizers. We get the bill, and it is for full price. We question it, and we were told by our server (Jackie) and another employee that we were supposed to get special half price menus. We never got them. They apologized, but that was all they were going to do about it. They would not fix the bill . All they had to do was admit to their mistake, fix the bill and everything would have been settled. ,STAY AWAY FROM THIS PLACE. We are in the Mystic area 2 or 3 times a year and will never go back there. I have been twice here. First time was for an early lunch, which was fairly priced and excellent fish sandwich. The second was for Happy Hour on Monday night. I must say the food was excellent, the thai calamari is amazing, the oysters were excellent and the shrimp and asparagus flatbread was incredible. I found the happy hour specials to be great prices and we had a full meal, along with 3 beers, 2 glasses of wine. All under 60 dollars. Can’t beat that, as well as a fantastic view. Will definitely return for more.